CMA Fest Prep Season is Here! Fan club parties are already being announced so make sure your memberships are current so you don't miss an invitation! If you are flying, think about booking flights soon as possible inbound/outbound at the start/end of the festival get booked up! If you haven't booked your lodging accommodations yet DO SO IMMEDIATELY. It gets harder and harder to find a place the later it gets. We book ours by July of the previous year! Don't forget to check out AirBnB - you can find some great deals on there. Be sure to check reviews before booking (I like Trip Advisor for that)! Follow the CMA's and your favorite artists' social media pages on Facebook, Twitter, Instagram, and Snapchat. Start training for all the walking you will be doing! Especially if you are a couch potato. You will be walking endlessly throughout the day between venues! Get fit now! 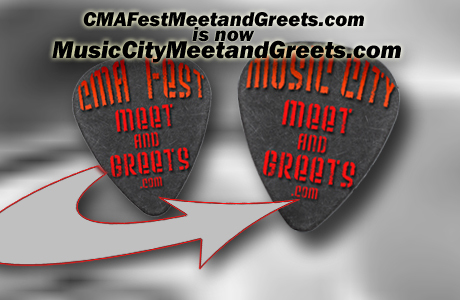 Get your subscription to our Member's Only Content so that you receive timely updates on all things CMA Fest, especially our fan favorite Autograph Signing Schedules! Signings will start being announced in the coming months and we'll be sure to keep them up-to-date with all the latest info! That's all for now! Updates will start rolling out soon!